This Arduino flame sensor can be used to detect fire or other wavelength at 760 nm ~ 1100 nm light. 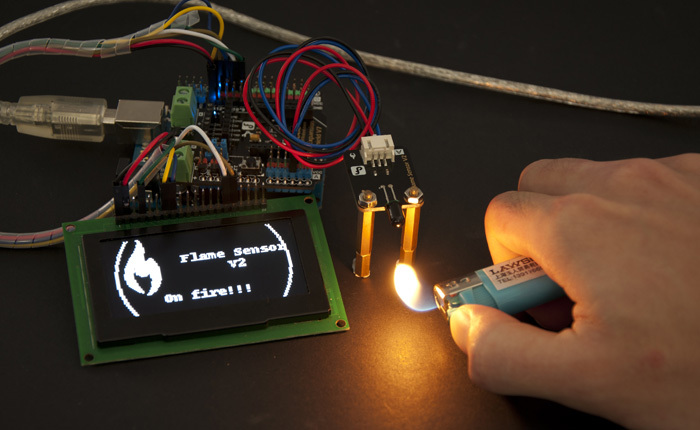 In the fire-fighting robot game, the flame plays an important role in the probe, which can be used as the robot's eyes to find fire source or football. It can make use of fire-fighting robots, soccer robots. 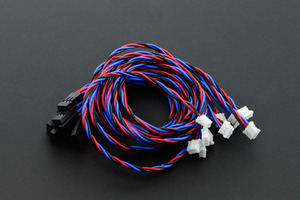 The Flame sensor has probe angle of 60 degrees, two M3 mounting holes is provided to install on various platforms. 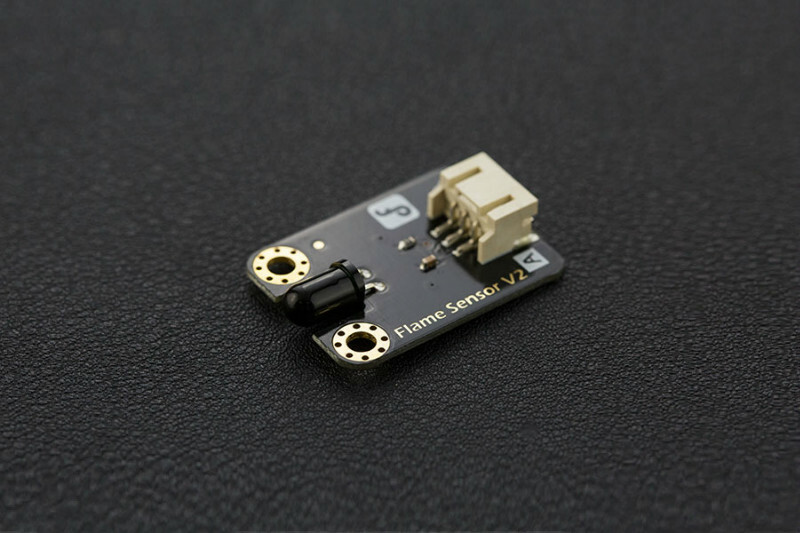 This arduino flame sensor's operating temperature is -25 degrees Celsius to 85 degrees Celsius, in the course of the flame it should be noted that the probe distance from the flame should not be too close inorder to avoid damage. 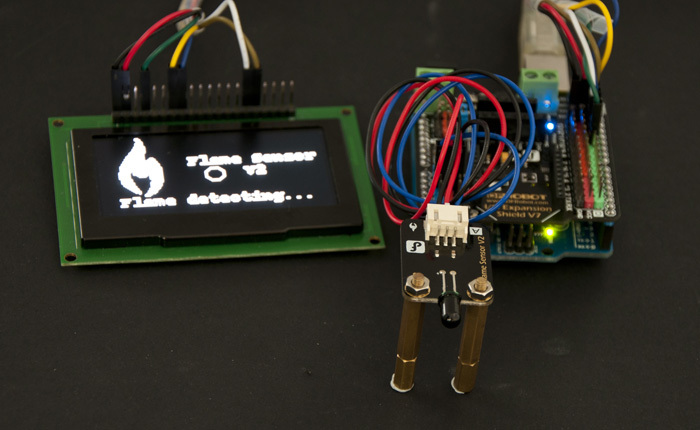 This sensor can sense flame sensitively!! 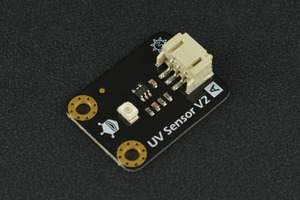 This sensor uses Gravity interface, and works from 3.3V-5V which is able to be compatible with various platforms such as Arduino, Raspberry Pi, Intel Galileo, Curie and Joule.